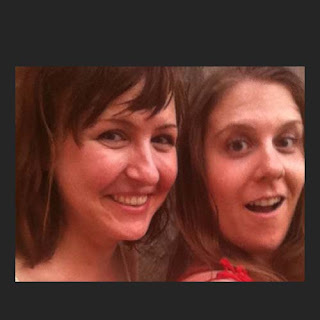 This week Sue Funke talks TV with her comedy co-host pal, Katie Compa. The two run a comedy show together at QED called, Happy Place Comedy. You can see it every 3rd Thursday at 9pm. Today, you can listen to them banter about I Love Lucy, Mad Men, That 70s Show, an epic series finale and some shows that haven't even made it to air yet. Enjoy the show, and this throwback photo of them from a BBQ in 2011.